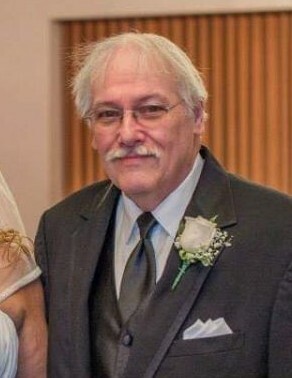 Raymond A. Finkel, 71, of Natrona Heights passed away Monday, April 15, 2019 in Allegheny General Hospital, Pittsburgh. He was born January 5, 1948, in Chicago, Illinois to Mildred Holley Alescio of Pittsburgh and the late Raymond Finkel. Ray worked at Action Industries in Cheswick for 32 years and later worked in the housekeeping department at Allegheny Valley Hospital for 5 years. He was of the Methodist faith and volunteered at Allegheny Valley Hospital. Ray enjoyed fishing, watching movies, was a Steeler and Pitt fan and he especially enjoyed his grandchildren. Ray had a favorite saying and this will be his final "Laces Out". In addition to his mother, Ray is survived by his wife of 43 years, Patricia Shiring Finkel; daughters, Kara Finkel (Mike), of Ford City, Amanda Finkel, of Ford City and Kim (Luke) Bondra, of Arnold; grandchildren, Tyler Corbett and Reagan Bondra; step-grandchildren, Deonte', Olivia and Gian Bondra; and by his sister, Ruth Ann Finkel, of Pittsburgh. Friends will be received on Thursday from 2-4, 6-8 PM in the Cicholski-Zidek Funeral Home, Inc,, 1522 Carlisle St., Natrona Heights 724-224-8688 where funeral ceremonies will be held on Friday at 10 AM. Officiating will be the Rev. R. Cameron Malcolm, IV. Burial will be in Allegheny Cemetery, Pittsburgh. In lieu of flowers, contributions in memory of Ray may be made to Animal Protectors of Allegheny Valley, 533 Linden Avenue, New Kensington, Pa. 15068 or to a charity of the donor's choice. To send an online condolence please visit www.cicholski-zidekfh.com.